Earlier this week, it was reported that the Rhett Reese and Michael Bay project Six Underground was actually a cover for a live-action Thundercats movie. When asked about the rumors, Rhett Reese simply said, "No," which settled the argument. However, Ryan Reynolds has addressed the rumors as well, calling them "ridiculous." It looks like fans of Snarf will have to go back to waiting for that ThunderCats movie, which might actually end up getting made now that there is so much hype surrounding the fake project. Ryan Reynolds responded to the ThunderCats rumors on social media in a very typical manner. The story started when a "reliable source" gave out the top secret intel, which then spread like wildfire. A ThunderCats live-action film could be in the making, but it's definitely not going to be in place of Six Underground. Reynolds had this to say. "I don't understand... Six Underground is an insane action film set in amazing locales like Florence, Abu Dhabi and Thundera. This is the most ridiculous rumor yet." Six Underground will be Netflix's most expensive project to date, with reports that it will be in the $150 million range. But sadly, it won't have anything to do with Thundera or Mumm-Ra. ThunderCats obviously still has a large devoted fan base, so a movie could be a good idea, especially with Ryan Reynolds as the star. A CGI film was first brought up in 2007 and was set to come out in 2010 with veteran video game art director Jerry O'Flaherty attached to direct. However, the project never got off of the ground, much to the disappointment of fans. While a live-action ThunderCats movie isn't in the cards at this time, there is a new animated series in the works called ThunderCats Roar, which is the third animated series for the franchise and is set to debut in 2019. A second series was produced in 2011 with 52 episodes planned. In the end, the show was swiftly canceled and only 26 episodes aired. The new series looks like it's aimed more towards small children with a cute drawing style. In other words, it doesn't look like long-time fans of the franchise are going to be into it at all. 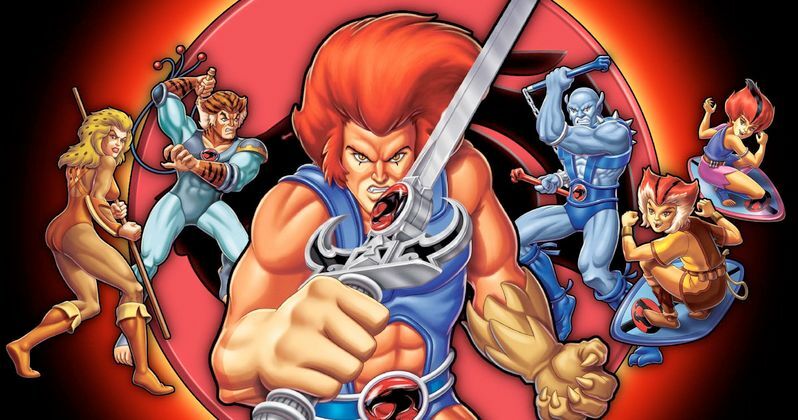 The original ThunderCats animated series ran from 1985 to 1989, and it was very popular. The characters were actually a set of action figures that were first introduced in 1983. Lion-O and Mumm-Ra were the biggest sellers and the figures included a pretty unique feature that allowed kids to place a battery-powered ring into the backs of the figures, which illuminated their eyes. The show didn't debut until 1985 due to production difficulties. While it's a bit of a bummer that Ryan Reynolds isn't starring in a live-action ThunderCats film, it's exciting to know that there is a group of fans that really want to see it. You can read the responses to the rumors below, provided by Ryan Reynolds' Twitter account.